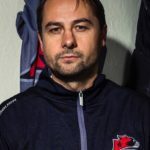 Murrayfield Racers booked their place at the Final Four Weekend in Dundee with an emphatic victory over Solway Stingrays on Sunday. 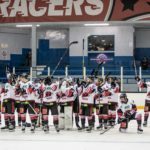 Period scores of 9-0, 10-0 and 11-0 sent the Racers through to the play-off semi-finals where they will face Dundee Comets. Martin Cingel topped the scoring for the Racers with seven goals against the short-benched visitors. 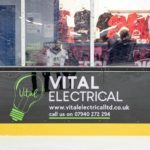 Paisley Pirates and Kirkcaldy Kestrels will contest the second semi-final after both came through their respective last eight ties over the weekend. In the event of a draw in the semi-finals the game will go straight to penalty shots to determine a winner. 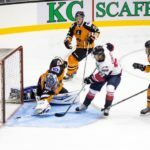 For the final, if the scores are tied, there will be five minutes of overtime (4-on-4) followed by penalty shots (if necessary) to determine a winner. Please click here to purchase tickets for the event. Online ticket sales end on Friday.